Axiom Soccer brings you to the digital colosseum of petroleum-fueled esports. With an ambitious spectator tool that places you bang in the middle of the action, the game promises to appeal to both competitive-minded gamers and people looking for an interactive spectating experience. What’s Axiom Soccer and Why Is It Esports Worthy? Earthbound Games’ Axim Soccer is a little-known title still. Bar the occasional Twitch ad, there’s very little to suggest that this is an about-to-be-released title. 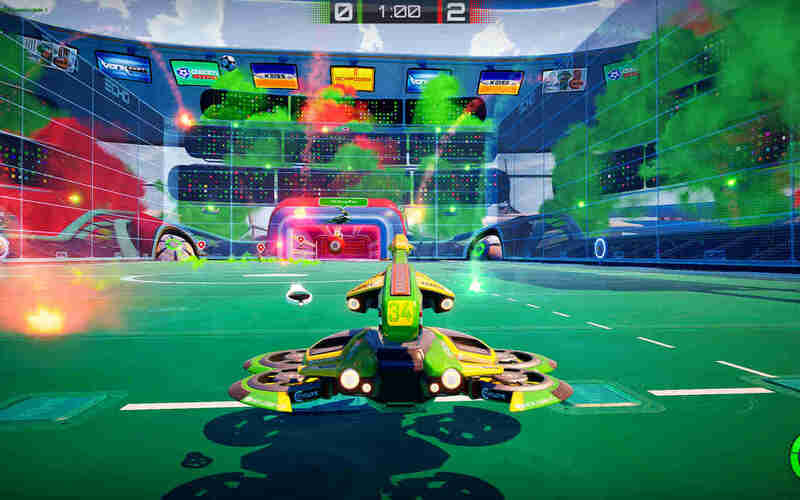 However, Axiom Soccer CEO Chris Stamp and his colleagues are on a mission to introduce a fast-paced soccer-inspired action blurring the line between the actual game, shooter and a racing title. “Esports has always been the goal,” Mr. Stamp told Gamereactor. Axiom Soccer in-game footage. Photo Credit: Axiom Soccer. Axiom Soccer is tailored to cater to viewers as much as players, creating an experience that is similar to the passion for actual sporting events. We’re not talking The Patriots vs Rams here nor perhaps the sold-out arenas for the World Championship. Nevertheless, the game seems to be developed for a specific time in the industry when many brands are trying to interact with their Twitch followers. Axiom Soccer has apparently cottoned onto this trend, letting spectators assume control over the goalie, for example. Earthbound Games concluded a £750,000 funding round led by Neil Heywood in September, 2018. On the occasion, Mr. Stamp reiterated his determination that Axiom Soccer was going to be a success. 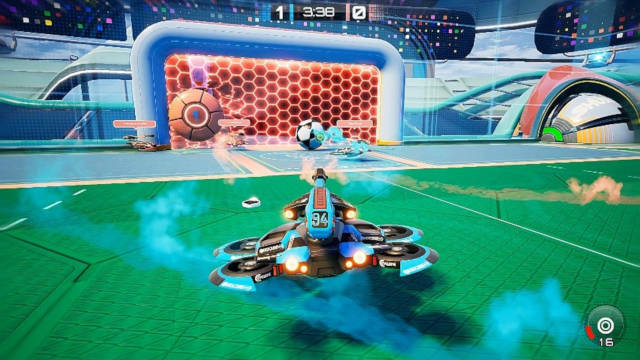 Going on with a decent budget, Axiom Soccer doesn’t seek to be a Rocket League copycat, Mr. Stamp adds. With flying colors. Photo Credit: Axiom Soccer. The game clearly borrows from Rocket League, with your drone whirring around at a decent speed, but it’s shooting that gets the ball landed into your opponent’s net. 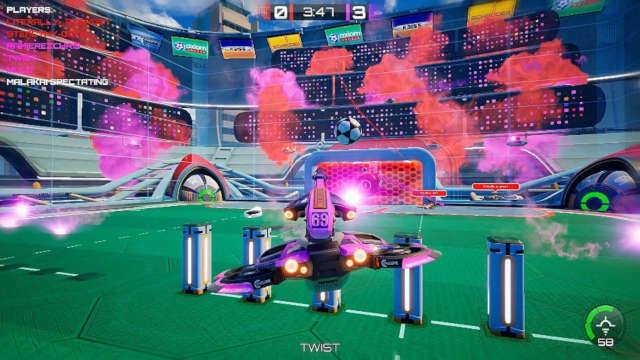 While Rocket League has inspired Earthbound Games’ product, Axiom Soccer involves a different set of skills. Mr. Stamp believes that the shooting mechanics inherent to Axiom include all that goes hand-in-hand with it, from aiming to strafing. The shooter-focused approach also brings around interesting new scenarios and mechanics, including the use of machine guns, shotguns, and a grenade that demobilizes the ball and pinpoints it into place. This isn’t new to any game, understandably, but it’s curious to see it implemented in such a game as football. Community feedback has revealed that the game needs to quicken up the pace a little without sacrificing the overall tactical element that goes into the game itself. Earthbound Games rely on their fans and beta testers to tweak the speed and in-game mechanics of the game. There are other wacky suggestions along the line, such as giving users control over goalies and setting a draw with penalty shots. Axiom Soccer definitely builds on a unique concept which promises to set it apart from the genre’s flagship title, Rocket League, but executing it successfully would be a very tall order. The game is faced with other challenges as well, including discoverability, which can be tough on Steam’s digital marketplace that currently holds thousands of available games. Earthbound Games are small, but they have come up with a concept that seems to inspire their progress, which still makes Axiom Soccer one of the more interesting titles with a true esports potential to watch out for in 2019. The game is coming at some point in the second quarter this year. Axiom Soccer's an interesting mash-up of a football simulator, a first-person shooter and a racing title. Can Axiom Soccer be an esports title?